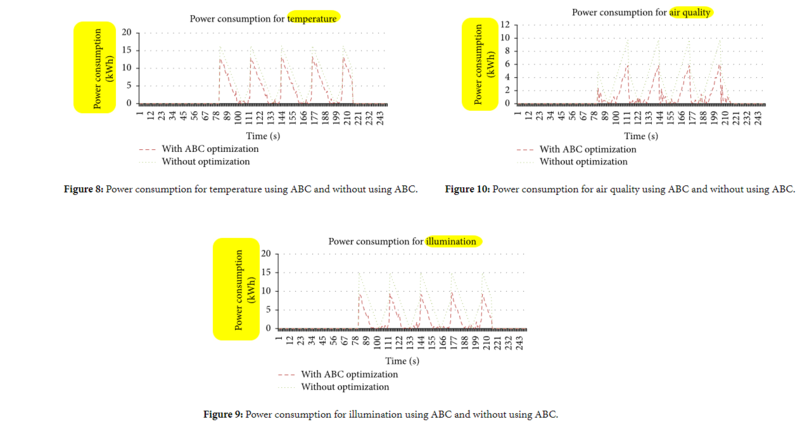 How to calculate energy (KWh) from Temperature (T),Air quality (Co2), and illumination (lux)? 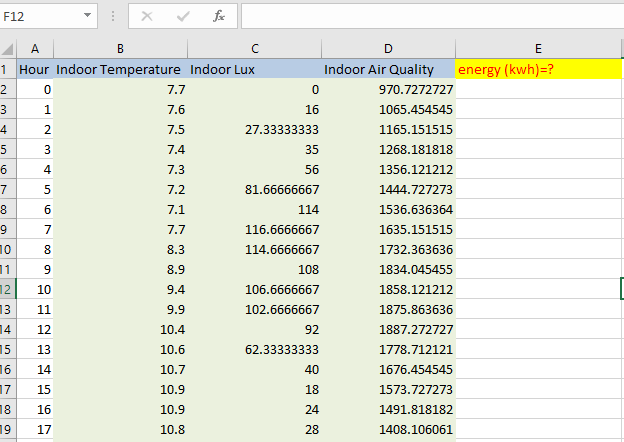 I have data of temperature, air quality, and illumination.I want to calculate energy consumption (KWh) from these parameters.My data is shown in the image . Also, examples are also shown in image 2 . Browse other questions tagged energy energy-conservation temperature power or ask your own question. How can I calculate Vapor Pressure Deficit from Temperature and Relative Humidity? How to calculate temperature of an incandescent bulb filament? How to calculate water temperature from a room temperature? What's the right way to calculate power consumption over a month given a rate per minute? How to calculate altitude from current temperature and pressure? Whose electric energy consumption 'copper' or 'aluminium' element in Water heater will be greater?